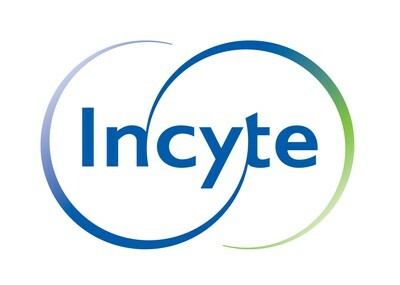 INDIANAPOLIS, Feb. 4, 2019 /PRNewswire/ -- Eli Lilly and Company (NYSE: LLY) and Incyte Corporation (NASDAQ: INCY) announced today that baricitinib met the primary endpoint in BREEZE-AD1 and BREEZE-AD2, two Phase 3 studies evaluating the efficacy and safety of baricitinib monotherapy for the treatment of adult patients with moderate to severe atopic dermatitis (AD). In both investigational trials, compared to patients treated with placebo, a statistically significant proportion of patients treated with baricitinib achieved the primary endpoint at Week 16 defined by the Investigator's Global Assessment for AD (IGA) score of clear or almost clear (IGA 0,1). These are two of five studies that will be part of the placebo-controlled data program intended to support global registrations. In the 16-week placebo-controlled phase of BREEZE-AD1 and BREEZE-AD2, the incidence of treatment-emergent adverse events and serious adverse events with baricitinib treatment was similar to placebo, and the most common treatment-emergent adverse events observed were nasopharyngitis and headache. No venous thromboembolic events (VTEs), major adverse cardiovascular events (MACE), or deaths were reported. "Atopic dermatitis is a chronic inflammatory skin disease that can negatively impact the quality of life for patients, and unfortunately there are limited treatment options, particularly oral medications," said Lotus Mallbris, M.D., Ph.D., vice president of immunology development at Lilly. "We are encouraged that baricitinib met the primary endpoints in these two studies, and look forward to seeing the collective results of all five studies." Lilly plans to share the full data results from both the BREEZE-AD1 and BREEZE-AD2 studies at future scientific venues and in peer-reviewed journals, as well as the topline data from other ongoing Phase 3 trials later this year. Baricitinib is approved for the treatment of adults with moderately to severely active rheumatoid arthritis (RA) in more than 50 countries, including the U.S., member states of the EU and Japan, and is marketed as OLUMIANT®. The BREEZE-AD1 and BREEZE-AD2 clinical trials are multicenter, randomized, double-blind, placebo-controlled, Phase 3 studies to evaluate the efficacy and safety of baricitinib monotherapy in adult patients with moderate to severe atopic dermatitis. Significant improvement in disease activity was determined by the proportion of patients on baricitinib achieving clear (0) or almost clear skin (1) with a greater than or equal to 2-point improvement as measured by the 5-point Investigator's Global Assessment for AD (IGA) scale at 16 weeks of treatment. OLUMIANT is a once-daily, oral JAK inhibitor for the treatment of adults with moderately-to-severely active rheumatoid arthritis who have had an inadequate response to one or more TNF inhibitor therapies. There are four known JAK enzymes: JAK1, JAK2, JAK3 and TYK2. JAK-dependent cytokines have been implicated in the pathogenesis of a number of inflammatory and autoimmune diseases. OLUMIANT has greater inhibitory potency at JAK1, JAK2 and TYK2 relative to JAK3; however, the relevance of inhibition of specific JAK enzymes to therapeutic effectiveness is not currently known. OLUMIANT is approved in more than 50 countries. Atopic dermatitis (AD), a serious form of eczema, is a chronic, relapsing skin disease characterized by intense itching, dry skin and inflammation that can be present on any part of the body. AD is a heterogeneous disease both clinically and biologically, but may be characterized by chronic baseline symptoms of itch, redness and skin damage that are often punctuated with episodic, sometimes unpredictable, flares or exacerbations. AD affects approximately 1-3 percent of adults worldwide. Moderate-to-severe AD is characterized by intense itching, resulting in visibly damaged skin and sleep loss. Like other chronic inflammatory diseases, AD is immune-mediated and involves a complex interplay of immune cells and inflammatory cytokines. Lilly is a global healthcare leader that unites caring with discovery to create medicines that make life better for people around the world. We were founded more than a century ago by a man committed to creating high-quality medicines that meet real needs, and today we remain true to that mission in all our work. Across the globe, Lilly employees work to discover and bring life-changing medicines to those who need them, improve the understanding and management of disease, and give back to communities through philanthropy and volunteerism. To learn more about Lilly, please visit us at www.lilly.com and newsroom.lilly.com/social-channels. This press release contains forward-looking statements (as that term is defined in the Private Securities Litigation Reform Act of 1995) about OLUMIANT (baricitinib) as a treatment for patients with rheumatoid arthritis and as a potential treatment for patients with moderate to severe atopic dermatitis, and reflects Lilly's and Incyte's current beliefs. However, as with any pharmaceutical product, there are substantial risks and uncertainties in the process of development and commercialization. Among other things, there can be no guarantee that OLUMIANT will receive additional regulatory approvals or be commercially successful. For further discussion of these and other risks and uncertainties, see Lilly's and Incyte's most recent respective Form 10-K and Form 10-Q filings with the United States Securities and Exchange Commission. Except as required by law, Lilly and Incyte undertake no duty to update forward-looking statements to reflect events after the date of this release.